Question About the BB event. It has been a time of uncertainty and war. Our Commanders have remained loyal through some hard battles. It is through this loyalty that you have provided us a light in our darkest hours and so we shall continue the fight. This world has become unpredictable. Our enemies have changed their tactics. 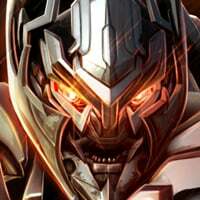 I am Optimus Prime, calling all Commanders: It is time to join together, and fight back. As the Second Anniversary of The Fight fast approaches, it is time to brief our Commanders on The Fight to come. 2019 will see some exciting changes, and while we are not at liberty to share the details of every skirmish or battle, here’s some information about the next few months. At the end of March, you can look forward to some more Bumblebee goodness, where you’ll once again have the chance to obtain the elusive Bumblebee (Dark of the Moon) and Bumblebee (Generations)! We’ll have more information for you all as we get closer to the release of 8.0, and our 2 Year Anniversary celebration! Stay tuned, Cheif! We're working on it. Stay tuned? Like when watching a show? Wednesday and it starts on Thursday the same time spotlights begin and end? This is the longest commercial break Ever! 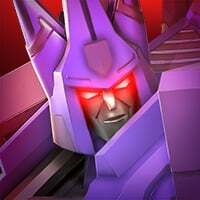 While you’re at it, do drop some information on April’s anniversary event as well, like which bots are coming up next? CHECK out next bot chip arenas. Really? They didn’t seem to be particularly accurate. I’m just hoping maybe for anniversary, they’d do a special like all bots on sale for bot chips. 4 out of 5 bots in these two months were leaked in the arena. So it's safe to count on it and to assume it's intentional until Kabam breaks the pattern (as usual). Some confirmation would be nice instead of speculation. I can’t bring myself to use any bot chips on Ratchet or Ramjet, even the 4* versions. Tac Prime was in the triple threat team a couple months ago. But he didn’t show up as a featured bot the following month. We'll have the confirmation on the last day anyway. So I'm saving enough resource for that matter. If OGP isn't present in the next batch I'll buy Ratchet and get a random awakening program. And no, my first choice should be Ramjet but Kabam decided to not buff him, let alone fix his special combo connecting problem. Yeah hoping the confirmation will come earlier so have more time to react. The last time I remember waking up to the announcement and the bots were all changed already. Previously I had gotten whatever I needed to get. But this time round, I’m still holding on to my chips so hope we get more response time. Same here, i kinda want to awaken my 4* Ratchet, but i want to save up in case Soundwave or Galvatron are next month. 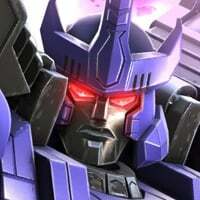 I really want a 4* Soundwave. He is my favorite Decepticon next to shockwave. And i just recently pulled a 4* shockwave. I love Shockwave too, he overtook Mirage as my favourite tech bot. 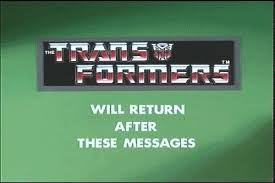 I personally would like to see Grimlock or MV as a featured bot. Hmmm, that would be kind of interesting even tho, like iv'e said before i really dont care for the bay bots. But what class would he be? Not sure what you mean? 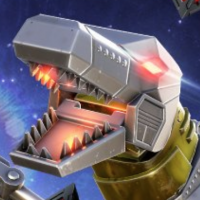 Grimlock and MV are both brawlers. I don’t bother holding out hope for new bots. How many ways can you skin a cat? It’s like (1) projectile and (2) melee, there’s only these two ways to attack anyway. I know they are brawlers. But there are three diferent versions of optimus in three different clases. im guessing IF they did a movie version grimlock then he would have to be warrior class. I dont think he would fit in to tactician or scout, definitely not tech either. And i dont think he has the fire power for demo. My question is can I get a 5* G1 bumblebee? Im guessing BaRdYaAmN nailed it and we wont get any news untill either late wed. Or early thur. I hope in vain that your veins are ok, bruv!